This year, Trump is turning his sights on liars, starting with Palestinians who are spreading falsehoods about the United States of America. Recently, Trump took to Twitter to give his opinion on the massive amounts of American tax dollars that are being sent overseas to countries that are not willing to cooperate with American beliefs. In the last few days, Nikki Haley addressed the United Nations in regards to UNRWA, the United Nations Relief and Works Agency, which is solely dedicated to supporting Palestinians as long as they are making an honest effort to head to the table to talk peace with the Israelis. 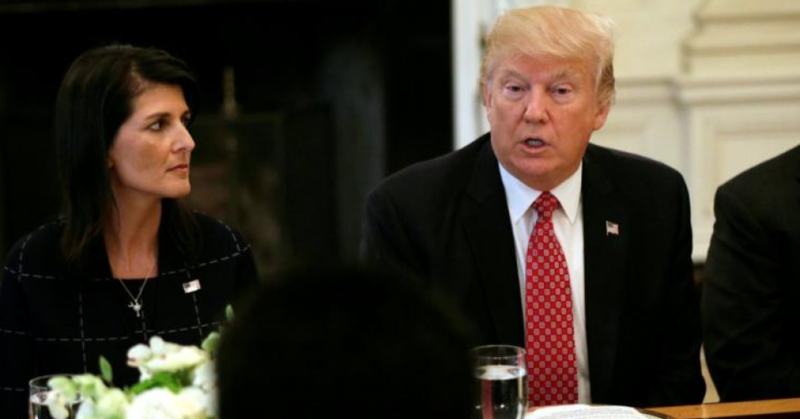 Haley, playing good cop to Trump’s bad cop, said that, “Trump doesn’t want to give any additional funding until the Palestinians agree to come back to the negotiating table, and what we saw with the resolution was not helpful to the situation.” The resolution Ambassador Haley meant was the recent resolution where the vast majority of UN member nations voted against the American assertion that yes, Jerusalem is the capital of Israel. Haley said that she was there to defend American interests and that the Americans want the Embassy to be moved, and that was that. Haley has been diplomatic, but the policy comes from Trump. Not quite on the same level of Sesame Street teaching you that sharing is caring and that learning to count to ten is easy. That is the kind of thing that tax dollars are being sent overseas for — not for shelter, food and water. You’re funding propaganda and Trump is right to pull funds if the lies continue.